5 Why should you volunteer? This page is primarily intended to be a resource providing information on volunteering opportunities available both within the UK and abroad. The opportunities highlighted consist of both physiotherapy specific settings, as well as opportunities in areas where transferable skills can be gained or utilised that are out with the typical physiotherapy practice areas. The information provided on this page is intended to be utilised by students, both current and prospective, as well as qualified practitioners, looking to enhance knowledge, clinical skills and life experiences. Volunteering is a vital aspect of everyday life. Without it, people would be homeless, starving and in dyer need of emergency health care. Define and explain the benefits of the Third Sector. Discuss personal and professional motives for perusing volunteering opportunities. Propose reflective strategies to enchance your volunteering experience. Apply acquired knowledge to formulate a volunteering strategy. Idenifty precautions and risks associated with volunteering in various settings. “Our vision is of a society in which social action and reciprocity are the norm and where volunteering is encouraged, promoted and supported because it has the power to enhance quality, reduce inequality or improve outcomes in health, public health and social care”. What is it that we mean by volunteering? Volunteering may be defined as "freely offering to take part in an enterprise or undertake a task; an unpaid activity conducted for the benefit of others, out-with family members". The National Citizenship Survey provided an overall level of formal volunteering in England. Approximately 3 million regular volunteers support the health sector as a whole with around 1.9 million working with the elderly. The 3 million volunteers across health and social care, is double that of NHS paid workforce in England. Community Settings – social support, teaching and training, well-being activities in the community, coaching patients through lifestyle changes, fundraising. How can we incorporate Physiotherapy with volunteering? As a physiotherapist, you are in high demand, especially in countries with a poor economic climate and health system. There are many charities and organisations that allow both qualified and student physiotherapists to partake in such life changing experiences. Volunteering can be regarded a form of social integration, which has long been suggested to improve personal well-being and may yield mental health benefits. Gain confidence, self-esteem, motivation and a sense of achievement. For those who are unemployed and seeking work, it can be a stepping stone to paid employment. Voluntary work is an excellent means through which both prospective and current physiotherapy students may enhance their abilities and understanding pertaining to the practice of physiotherapy. Voluntary experience may also assist the prospective student in achieving the physiotherapy entry requirements. Sharing essential skills and knowledge with members of the community can be beneficial long after the volunteering experience is over. 1-When looking though resumes of possible job candidates, does volunteer experience obtained by candidates often stand out to you? Do you note any difference in value between it and other paid work experiences? 2-Do you think any differently of candidates of whom have had much volunteering experience vs. those with none? If so what might these differences be? 3-If a job candidate had much volunteer experience that was not directly related to physiotherapy, but the candidate could relate many qualities learnt through this experience to the physiotherapy practice (say organization, and communication skills for example); How highly would you regard these experiences? Would you consider these experiences as being beneficial assets to a candidates resume? As a result of increasing numbers of requests from countries who do not have adequate physiotherapy support, physiotherapists are in high demand by volunteer recruitment agencies in third world countries for developing projects. Volunteers in these economically unstable countries can help train local staff and develop health services. In such countries, it is not only qualified physiotherapists that are sought after, students are also valuable volunteers. Volunteering in a developing country, whether it be for a few weeks, months or years, has many positive impacts. People have the opportunity to broaden their outlook and acquire a sense of personal identity, skills, confidence and knowledge. Volunteering in underdeveloped countries can also encourage individuals to become an active volunteer in their own community. The World Health Organisation states there are approximately 52 million individuals suffering from a form of disability residing in developing countries, indicating a large demand for physiotherapy in these nations. In developing countries, volunteers will commonly encounter poorly resourced clinics and hospitals with high patient loads and underpaid staff. The lack of experience, resources and funds for treatment of these patients leads to advanced conditions that are rarely seen in the developed world . Practicing in wards which are poorly resourced can necessitate physiotherapist to resort to the basics of their training; i.e. practicing the diagnosis and treatment of conditions without the use of familiar physiotherapy equipment. These placements thus provide an excellent opportunity to the physiotherapy student and professional alike, to hone core skills through the differing challenges and contexts that such environments provide. Participants of physiotherapy placement programmes claim the experiences to be rewarding . These placements enable students and professionals to actively help disabled children and adults lead lives that are as normal and pain-free as possible. The need for rehabilitation is vitally important and, whether or not you have experience, working as a physiotherapist, or looking to gain experience working alongside physiotherapists, your presence can be invaluable to the lives of many. Whether you are volunteering in polio or leprosy clinics in India, a centre for disabled children in Nepal, physiotherapy departments of large hospitals in Ghana or a burns unit in Bolivia, you will learn a great deal about the practice of physiotherapy; enhancing your own skills and the lives of others simultaneously . Info: A group of qualified physiotherapists who provide a volunteer service to homeless people in Edinburgh. StreetSmart Physio are always keen to recruit new graduates looking for clinical experience. StreetSmart Physio has helped a number of newly qualified physiotherapists gain full-time or part-time employment due to the experiences gained while volunteering with the charity. StreetSmart Physio also arrange study days when clinicians get together to share and up-date their knowledge and skills in common clinical problem areas. Requirements: To volunteer with StreetSmart Physio you must be a UK registered physiotherapist andhave HCPC registration. Info: VS provide volunteers with the ability to search an up-to-date database of current volunteering opportunities throughout Scotland. VS’s aims include increasing the number and diversity of volunteers in Scotland and look to achieve this by understanding volunteers' needs, improving access to volunteering opportunities and delivering opportunites through a robust, evidence based approach. Requirements: Anyone can access the VS resource but certain roles may require specific qualifications, checks or training. How to: Click Here to visit their website. Requirements: Certain sport specific certifications or training are sometimes required for coaching, as well as an PVG check. How to: Check out and select opportunities of interest found on the webpage. Info: offers 18 to 30 year-olds the chance to make a positive contribution to their community and their country through volunteering. Project Scotland works with 300 Scottish charities and organizes 1000 plus volunteering opportunities yearly. Requirements: Must be age 18-30. For specific requirements and training refer to the charities you wish to volunteer with. How to: Complete an online application form specifying your interests and skill and be matched with an appropriate organisation. Info: Volunteers at Crisis are needed to help the homeless during Christmas. Many roles are available such as providing on-going one-to-one support for our homeless clients, to raising much needed funds, to being a trustee on our Board, to operating the Crisis centres over Christmas. Requirements: You do not need any qualifications or experience to be a general volunteer, however Some service volunteers and activities volunteers are required to have specialist skills, qualifications and appropriate insurance before they can apply and, if so, volunteers must provide proof of these. Must 18 years of age, or 16/17 with accompaniment of a person 25 or older. As a physiotherapist, there are also transferrable skills, relevant to practice, that can be gained from volunteering out-with a physiotherapy environment. The following are a number of opportunities and resources you may utilise to begin this process. Info: Volunteers can be involved in a number of different roles, including: information giving, health promotion, helping at clinics and events, fundraising, library, café and shop staffing, ward visitors, ward helpers, transport, chaplaincy, administrative support, research projects and therapeutic care. Requirements: Volunteering opportunities within NHS Lothian are available for both young and old, qualified and non-qualified. Info:TSIS is a programme run for students and graduates in Scotland to gain working experience within the third sector. It aims to bridge the gap from university life to the working environment as well as further progress their techniques and abilities. The programme is a collaborative project between third level education and the third sector and is run by Queen Margaret University, the Open University Scotland and the Scottish council for Voluntary Organisations. Requirements: Internships are available to all third level students, both at undergraduate and postgraduate levels. Info: CHSS improves the quality of life for people in Scotland affected by chest, heart and stroke illness, through medical research, influencing public policy, advice and information and support in the community. CHSS state that volunteers are a vital part of the organisation and without their dedicated support none of their work would be possible. Requirements: CHSS volunteering opportunities are available for both young and old, qualified and non-qualified. For some volunteering roles it may be beneficial to have experience in health or social care. How to: The CHSS website provide the relevant information for potential volunteers. These centres of information provide free assistance, support and direction to where and how you can get involved in volunteering, as well as how volunteering could lead you to paid work. Further to this, opportunities to develop skills and knowledge can also be gained through the many training sessions available on the volunteer centre webpages. Emphasising the achievements and commitment of their volunteers is a predominant feature of the Volunteering Centre as they strive to provide recognition of their volunteers by holding an annual awards ceremony termed the Saltire awardshttps://saltireawards.org.uk/. These are applicable to young adults aged 12 to 25 and provides the opportunity to earn incentives and prizes. Requirements: The volunteer centres are for both young and old, ranging from young adults between the years of 12 years into the older adults. Individual organisation requirements are dependent on the current opportunities available and your particular area of interest. How to: Up to date job opportunities can be found on the specific volunteer centre databases and details of the individual application processes / contact details etc. Info: A resource providing current opportunities across the UK pertaining to your specific area of interest. They provide volunteering opportunities for professionals, students as well as the general public. Requirements: Open to volunteers of all ages. Individual organisation requirements are dependent on the current opportunities available and your particular area of interest. How to: For more information, visit Do-it.org.uk. Info: An online resource committed to supporting, enabling and celebrating volunteering. Linking policy, research, innovation, good practice and programme management with the involvement of volunteers is a top priority. Info: CSV provides volunteering opportunities ranging in age from students through to retirement. Offering a wide range of areas in which you may utilise your professional skills, enhance your knowledge in a new setting, and further develop your CV. Australia is a country comprising the mainland of the Australian continent, the island of Tasmania, as well as surrounding smaller islands . It is a well developed country, ranking highly in international comparisons of national performance, such as quality of life, health, education, and economic freedom . 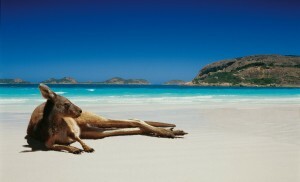 It is a multicultural country, providing a unique experience and opportunity to explore diverse cultures, foods, lifestyles and customs , it also has a variety of unique wildlife exclusive to the Australian continent . There are endless volunteering opportunities available across Australia, from animal welfare to teaching English, whichever you choose depends entirely on what you are looking to achieve from your experience. There are many organisations and resources at your disposal. There is something for everyone no matter what your interests are! A free online resource and service providing an extensive list of volunteering organisations and opportunities across Australia. They strive to improve efficiency of recruitment of volunteers for non-profit organisations and seek to provide you with an optimal experience to suit your needs. A free online service providing students and professionals the opportunity to participate in various areas such as events, environmental conservation and during an emergency or crisis. Volunteers are encouraged to create their own online profile to help keep record of volunteering experience, as well as to keep track of opportunities and organisations which fit their interests. You may also send your volunteer profile on to organisations when you wish to apply for a job or other voluntary experience. An online resource providing useful and important information when it comes to volunteering. They provide access to volunteer resource centres throughout each state and territory in Australia. Offers various opportunities including adventure tours and volunteering at koala sanctuaries. This resource provides a variety of volunteering opportunities from wildlife conservation to teaching sports. Note: It is acceptable, under the conditions of the Tourist visa, to receive meals, accommodation and/or reimbursement of out-of-pocket living expenses in return for voluntary work . Depending on the volunteering opportunity you choose, you may be required to pay for expenses. Many volunteering sites will provide you with accommodation and meals while you are with them, however, they do not often cover travel expenses. Specific immunisations are not required to travel to Australia, however, you are encouraged to have your routine vaccines up to date. For more information, visit the NHS travel information page. If you are entering Australia within six days of having stayed in a yellow fever-infected country, you will need proof of yellow fever vaccination. Visit WHO, or Centers for Disease Control & Prevention. 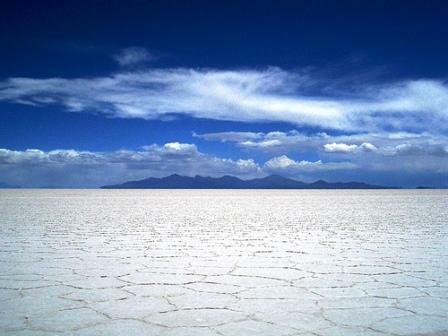 Bolivia, officially known as “the Plurinational State of Bolivia”, is situated in central South America and is completely bordered by other countries, therefore being termed “landlocked”. The countries that border Bolivia are, working clockwise from the northeast, Brazil, Paraguay, Argentina, Chile and Peru. 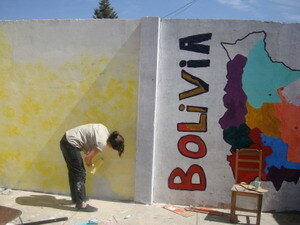 Projects Abroad offer volunteering programmes in physiotherapy in Bolivia with costs ranging from £1,495 (4 weeks) to £2,695 (12 weeks) with as many additional weeks as the volunteer desires costing £150. "From my experiences I learnt how to treat patients with burns, make and fit splints, do exercises for burns, hydrotherapy, work with children, and the use and fitting of pressure suits. It was such a great experience and if this is your placement I have no doubt that you will love it too. I will truly miss working there, all the great people I met and of course all those children!" 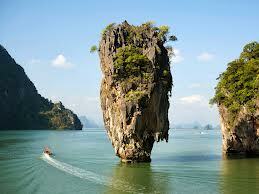 Thailand is a large country located in the Indochina peninsula in the southeast of Asia. 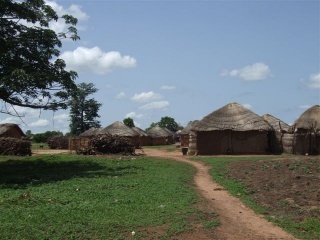 It has a population of around 64 million people with a significant amount of the population living in rural isolated parts of the country. 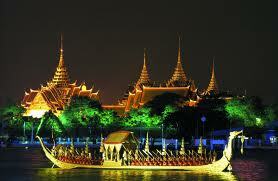 Thailand is a country known as the land of smiles. Along with modern capital city of Bangkok and its friendly people Thailand has many beautiful attractions such as the many Buddhist temples, exotic wildlife and spectacular islands. The country is steeped in history with very unique traditions and cultures. There over 100 national parks in Thailand, providing excellent opportunities for trekking, biking, camping and photography. There are also many beautiful beaches which can provide opportunities to experience some of the fantastic marine wildlife on offer. Although very beautiful with a well-established health system, Thailand significantly benefits from the additional assistance of volunteer programmes within the country; additional help is necessary to help increase medical accessibility. Although the Thai government deliver medical care for all citizens, there are still a number of groups that do not receive the full healthcare they require. Many people living in rural Thailand suffer from illnesses and health conditions that could be easily prevented and addressed by early detection. 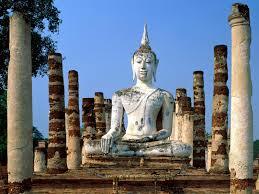 Click here for a tourism video of Thailand. Info: The CCS is the safest volunteering organisation abroad with continually reviewed comprehensive safety and security strategies. The CCS has over 18 years’ experience with over 30,000 past volunteers Provides volunteers with the opportunity to give support and care to infants and children, improve general health among the ageing and isolated populations, and provide education and quality of care for people with disabilities. Opportunities range from assisting with the everyday workload of the healthcare professionals to supporting and educating people in overcrowded and poorly serviced areas of Bangkok. The CCS provides volunteering opportunities for young and old, qualified and unqualified. The type of programme you desire will determine the specific requirements needed. You can access the specific requirements via the link below to the official CCS website. Applications, dates and fees for each programme can also be found on the CCS website. Please view the visa requirements section for more information. • Cancer screening – Provides pap smears and administer breast exams to women living in the Saraphi, San Kamphaeng, San Sai, Doi Saket, Hang Dong and San Pa Tong districts. • HIV/AIDS - Provides HIV/AIDs education and prevention outreach programs. Volunteering opportunities on this programme are for adults of any age. A police background check must be completed before being accepted in the programme. Insurance must also be organised by the participant themselves. The minimum price for the project is $999 with an additional $230 for every extra week after that. The project runs all year round and volunteers are expected to work Monday to Friday, from 8am to 4pm. You are also asked to provide a referenced CV with proof of any previous experience during the application process as well as stating whether or not you are volunteering as part of a university internship. Each volunteer is charged a fee for the project which can be seen below. Cover becomes effective once full payment has been received. Additional insurance can be bought to cover any extra travelling in which you may wish to undertake. It is also advised that you consult your GP or health centre for up-to-date information about vaccinations for Thailand. EU citizens require a visa in order to travel to Thailand. The visa required for this project is a non-immigrant visa. 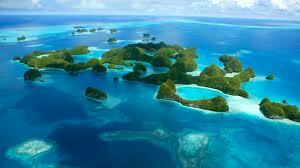 The visa fee is £50 for a single entry visa, allowing you to stay in the country for three months. The fee for an annual, multiple entry visa is £125. Documentation for this visa can be found here. "It was an amazing experience and I felt I was able to give more than I would in a western hospital - despite the limited resources - as the therapy sessions were as frequent as possible and this type of treatment was not provided by anyone else. One of my happiest memories is when this patient improved to the point where he could actually make jokes (although the joke was normally on me!)". "I am so glad I took this leap. It was a life changing experience that I would recommend to anyone who has that nagging need; you won’t look back – only wonder why you didn’t do it sooner!" Ghana has limited medical rehabilitation and very few laws to protect people with disability. No occupational therapists or rehabilitation physicians in the entire country. Physiotherapists, prosthetists, orthotists and speech and language therapists are scarce in the health care system. In Ghana, there are barriers to the establishment of these health care services such as lack of funding, decreased government support, cultural stigma and poor utilisation of the existing resources. Included within the volunteering package, is comprehensive travel and medical insurance. You are provided with cover no matter where you are from or where you are travelling to. Current insurers only provide insurance for volunteers up to the age of 64 and anyone above this age will need to seek alternative insurance policies. Accommodation is provided with host families and is regularly checked by overseas staff and will only be accepted if it is clean and acceptable. There are a wide range of volunteer stories which may help you decide and prepare prior to departing. Click here for volunteer stories. For a range of prices please click here. Physiotherapy placement in Nepal offers volunteers the chance to gain valuable work experience in one of the poorest and least developed countries in the world, with over 30% of the population living below the poverty line. In addition, many thousands of children are engaged in hard physical work and live on the streets. Nepal wields a small economy, with only 15% of the population being provided for by the National Health System; the rest left to rely on foreign aid in a country frequently exposed to natural disaster and civil unrest . Volunteers will receive a fantastic first hand insight into how the differing procedures of treatment and patient support are carried out in Nepal compared to back home. Many diverse and rare opportunities exist in Nepal regarding its scope of physiotherapy practice; such that even a qualified physiotherapist with years of experience will have ample opportunity to broaden their knowledge and further develop their skill. The organisations that place volunteer physiotherapists in Nepal offer the opportunity to see many different patients and conditions. In Nepal, volunteers have often dealt with: neglected orthopaedic conditions, TB, Polio, Leprosy, Club-Foot, Post-Burn Contractures, post-operative rehabilitation for road traffic accidents and Cerebral Palsy , as well as a wide array of other cases, many of which have been eradicated from developed countries. Volunteers may find themselves in a number of available settings within Nepal, such as: Hospitals, community centres, local communities, rehabilitation centres and more . In addition to regular placement, physiotherapists may be able to take part in various outreach programmes, including visits to schools or a health camp . What is required/how do you prepare? 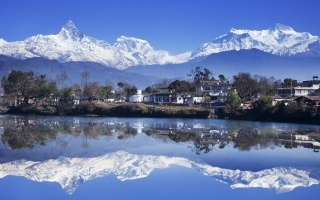 To enter into Nepal as a volunteer you will need to have a visa and passport; for further details visit the Embassy of Nepal’s webpage, or travel advice offered by the UK government. Visas are usually processed within 48 hours upon the submission of the visa application form to the Embassy. The organisations offering opportunities to volunteer as a physiotherapist charge roughly £850 for two weeks and £2000 for 12 weeks , excluding plane fares. The prices usually include food, accommodation and assistance/support throughout the duration of placement, however, all organisations are not this inclusive, and some suggest you bring up to 150 pounds per month spending money. Please refer to a specific organisations webpage to get up to date information as to what they include in their packages. Choose organisations carefully, ensuring you find out in advance as much as you can about the location, clinical setting, facilities, and support structure for volunteers where you would be working. Also check exactly what will be provided by the organisation and what you will be expected to pay yourself – placement charges can be high. The organisation you're interested in should be happy to answer any questions you have. If not, it may not be committed to supporting volunteers, take it as a potential warning sign. Is it possible to be put in touch with current or past volunteers; if you ask for advice, ask about their experiences, problems they may have encountered, how they prepared for their trip, etc. in order to gain valuable info about how to proceed with your planning. Consult the Foreign Office website for any queries or concerns regarding your country of choice. An organisation that is trustworthy should be giving you plenty of information about the culture, specific location of your placement, type of accommodation, and what nearby amenities exist. If possible, attend careers fairs, charity events or open days for prospective volunteers to meet with organisation officials. Face-to-face is an excellent way to ask questions and get a sense of what volunteering involves. Obtain a clear description of the work you will be undertaking and a guarantee about any training or support offered. The organisation should be able to explain in detail why their efforts are useful to the people in your country of choice. A successful placement comes from matching what you want and can offer, with what actually needs to be done. Discuss this with the organisation of your choice to ensure the contribution you make is meaningful to the host community and has a lasting, positive impact. “The Health Professions Council will take a strong view if a student practices independently without the direct supervision and control of a registered physiotherapist, and gives the impression that they are qualified to work unsupervised, then the student is committing an offence under the Health Professions Order 2001 and may be liable to prosecution and may not be permitted to enter the register. You are not insured to practice unless you are being supervised by a qualified physiotherapist or other qualified health professional. There may be some students who are educated, trained and competent in other health-related interventions such as sports massage, pitch side first aid or acupuncture and who wish to practice these skills – this is quite acceptable; however students must be clear that in this case, they are not practicing physiotherapy. Students must ensure that they do not mislead their client in to believing they are receiving physiotherapy, and they must also ensure that they possess adequate and appropriate insurance for their activities as such insurance will not be provided by the CSP’s insurance cover”. Always ask: Can I practice this modality or approach? Am I appropriately educated, trained and competent in this area? completed an appropriate programme of professional development or learning in the area. maintained your competence to practice the area in question. Understood and are aware of the HCPC standards of proficiency for physiotherapists. If you are unsure whether this area is within your scope, there are here further CSP resources that you can use. It is important to look into travellers insurance, particularly when travelling abroad as mentioned in the Travelling Abroad section. Compare the UK's top Travel Insurance providers at: Travel Insurance Guide. You may also wish to contact the specific organisation that you are interested in volunteering with to discuss your best options. Ask for details of insurance to confirm whether or not the organisation you work with is providing you with adequate insurance for you to practice your skills abroad. Most organization do include insurance costs within their prices, however, if you are not covered by the organisation, finding comprehensive professional insurance is a must. When volunteering, it is important to remember that volunteers are not a substitute for paid workers. Your volunteer work is not aimed at helping any person or organisations gain profit; be on the lookout for employers trying to exploit volunteers as a means of cheap or free labor. Your work should be making a contribution to the not-for-profit sector - not your bosses pocket! If you feel that exploitation maybe an issue, make a complaint by following the procedure listed below. If you think a practitioner or social services employee is responsible for a professional misconduct, you can complain to their professional or regulatory body. Practitioners who have a sexual relationship with a patient. Practitioners who claim that they're competent to practise. Practitioners who falsely claim that they're qualified to practise. Please refer to the CSP’s standards of proficiency for what to expect of yourself and others who practice physiotherapy. Your record keeping is very valuable in dealing with and processing instances of professional misconduct and complaints alike. Please start, and maintain general and accurate record keeping over your course of volunteer work! 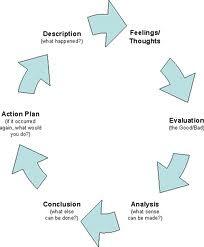 The Gibbs cycle (see diagram) consists of 6 important stages that guide you through the reflective process. A SWOT analysis is a method used to help identify potential strengths, weaknesses, opportunities and treats to a project. Writing out strengths can help identify the characteristics that make a project stand out, whereas on the other hand writing out the weaknesses will do the opposite and highlight some of the disadvantages to a project. Opportunities and treats are issues that have the potential to arise which could either create further advantages or could potentially cause problems if arisen. Once this has been completed all internal and external factors that are both favourable and unfavourable should be highlighted allowing for clear goals and objectives to be written. Goal setting is an effective method of providing direction and purpose to a specific task or objective. Using SMART short term, medium term and long term goals can provide the stepping stones to achieving the overall desired outcomes. SMART is an acronym that is used in goal setting to insure clear, concise, effective goals. 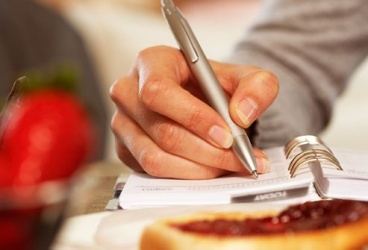 It is used to insure that goals are Specific, Measurable, Action – orientated, Realistic and time framed. An example of a SMART goal would be: “By the 13th of December I will have completed 100 hours of physiotherapy voluntary work abroad. Provided is a blank SMART Goals and SWOT analysis worksheet that you may find useful. How to make the most of your volunteer experience? Volunteers must prove themselves from the onset of placement, to be trustworthy individuals before they will be given tasks that require significant responsibility. As a volunteer you must show initiative, enthusiasm and develop a good relationship with the medical staff in order to get the most out of your placement. Exactly what work will you be doing? Can the organisation provide you with a brief job description? Does the organisation work with any local partner organisations? Does the organisation make any financial contribution to its volunteer programmes? If so exactly how much, minus any payments for food and accommodation for volunteers, is this contribution? Make sure you have a complete breakdown of your costs: do you have food and accommodation included? What’s your administration fee? What extras exist: insurance, visas, specialist equipment? Are flights included if you’re going abroad? What time frame is the volunteer programme run on? How long has the programme been running and what are the plans for the future? Will you require additional vaccinations or boosters prior to leaving? How accessible will health care be while your away? Do you have language skills? How will you communicate? For more on practical advice when volunteering abroad, checking out organisations, raising money, health and Safety, data Protection, Discrimination and harassment please refer to the following website where useful information sheets may be found. The capacity to reflect during practice/experiences is regarded as an integral and essential characteristic for professional competence in healthcare, with various methods of reflective practice having been reported to enhance learning during practice . Conitunal relfection during a volunteering experience is therefore fundamentally important in making the most of your experience. One example of reflective practice being undertaken during a learning experience was physiotherapy students being encouraged to keep a journal, for 8 weeks, during an academic unit. Keeping a record like this will enhance your ability to reflect during, as well as on completion of, a volunteering experience, allowing you to revist how you felt during certain incidents, conversations and situations. Why should you write a reflection? It is important to keep written work about your experiences during your voluntary placement as this will help you to identify gained knowledge, new situations, and problems you may have encountered. Reflecting upon these enables you to identify your strengths as well as areas of improvement, problem solving skills you developed, and how you coped in new situations. Provided is a reflective sheet aimed to supplement your volunteering experience. Why do I view the situation like that? What assumptions have I made about the student, colleague, problem or situation? How else could I interpret the situation? What other action could I have taken that might have been more helpful? What will I do if I am faced with a similar situation in the future? It may be helpful for you to discuss these points with someone trustworthy – or maybe you would prefer to write down your thoughts. Through structuring your responses in this reflection process, you may be aided in thinking more clearly and less emotionally about the best ways to address the situation in hand. If you are planning to be/are a physio in the UK it is a requirement to continue learning and developing as a professional. The Chartered Society of Physiotherapists (CSP) expects all qualified members, professionals and students alike to maintain and develop their skills and knowledge in order to be competent and lead an effective cutting edge practice; otherwise known as ‘Continuing Professional Development’ (CPD). The CSP has specific Policies regarding CPD, and highly encourages/expects members to participate in keeping a portfolio to document and reflect upon learning experiences in order to develop a higher level of understanding. There are many different ways in which you can document your CPD, achieved through voluntary commitments or not, such as through web or paper based methods. Web-based methods of recording your CPD are increasing in popularity; there are many benefits in keeping a web based portfolio for highlighting your skills and development such as accessibility, organization and presentation. Documenting your CPD with the inclusion of in-depth reflection will also assist your status in the marketplace. Physiotherapy jobs can be very competitive and in the process of seeking them, portfolios which detail profession related learning can add value to your professional credibility. Documenting your volunteer activities, through whatever means, including amount of hours worked and details of how time was spent can also prove very useful. If a question did arise concerning you or your duties, you would be able to demonstrate your regular activities and the amount of time that you have invested volunteering. Such a process would take very little time and could come in handy, in a number of ways such as: to defend in a possible, but unlikely, lawsuit; if employers wanted to learn more about your volunteer work (pertinent for promotions/interviews); if staff wanted to describe your activities to nominate you for an award; if you decide to apply for or renew a certification; if you wanted to update a resume and return to the workforce; if you need to renew an inactive professional license; or if you just want to write a letter to your mother and let her know precisely what you have been learning (which mothers often love to hear about). Proper and consistent methods of documentation will enable you to remember with detail and accuracy past experiences and events so that you can reflect and communicate them to others. Documentation is a good professional habit, which is increasingly becoming both, more valuable, and more expected. We hope that this information page will have provided you with a wealth of insight into areas of volunteering opportunity. Now that you have gained this information and learned how to develop a volunteer strategy you will hopefully be able to apply this knowledge and enhance your own personal development as a prospective/qualified health care practicioner. There are many reflection strategies out there, however, this page utilises that of Gibbs which is widely used throughout health care. We provide PDF`s to help with goal setting and identifying strengths, weaknesses, opportunities and traits. We feel that these will be extremely useful in order to gain maximum benefit from a volunteering experience. ↑ 1.0 1.1 The Scottish Government. AHPs as agents of change in health and social care - The National Delivery Plan for the Allied Health Professions in Scotland, 2012 – 2015. 2012; http://www.scotland.gov.uk/Publications/2012/06/9095 (accessed 23 October 2013). ↑ Bubb S. The third sector could help the NHS to flourish. The Telegraph. 2011. http://www.telegraph.co.uk/news/politics/8257383/The-third-sector-could-help-the-NHS-to-flourish.html (viewed 23 October 2013). ↑ Oxford University Press. Oxford Dictionaries. http://www.oxforddictionaries.com/definition/english/volunteer (accessed 1 December 2013). ↑ 6.0 6.1 6.2 6.3 6.4 Wilson J, Musick M. The effects of volunteering on the volunteer. Law and Contemporary Problems 2000; 62 (4): 141-168. ↑ Sawyer K, Lopopolo R. Perceived impact on physical therapist students of an international pro bono clinical experience in a developing country. Journal of Physical Therapy Education 2004; 2; 40-47. ↑ Hotchkiss RB, Fottler MD, Unruh L. Valuing volunteers: the impact of volunteerism on hospital performance. Health Care Management Review 2009; 34 (2): 119-128. 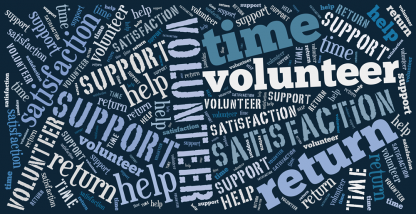 ↑ Holloway S. Volunteering – A professional challenge. Physiotherapy 1988; 74 (11): 579-580. ↑ 11.0 11.1 11.2 Tiessen R, Epprecht M. Global citizenship education for learning/volunteering abroad. Journal of Global Citizenship & Equity Education 2012; 2 (1): 1-12. ↑ World Health Organisation (2002). Preventing death and disability due to injuries is both an economic imperative and a health priority. http://tinyurl.com/yb52rl6 (accessed 6 November 2013). ↑ Tinney MJ, Chiodo A, Haig A, Wiredu E. Medical rehabilitation in Ghana. Informa Healthcare 2007; 29 (11-12): 921-927. ↑ Projects Abroad. 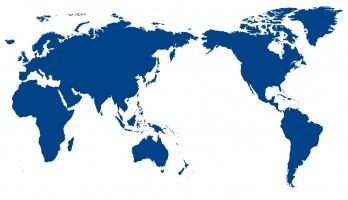 http://www.projects-abroad.co.uk/ (accessed 26th November 2013). ↑ Chartered Society of Physiotherapists. Working as a volunteer abroad; A resource list of development agencies for Chartered Physiotherapists; 2011. p. 1-17. ↑ Jasper M. Beginning reflective practice. Cheltenham: Nelson Thornes Ltd; 2003. ↑ Knowles Z, Tyler G, Gilbourne D, Eubank M. Reflecting on reflection: exploring the practice of sports coaching graduates. Reflective Practice 2006; 7 (2): 163-179. ↑ Physio In Sport [homepage on the internet] United Kingdom; 2013 [updated 2013 Nov. 13; cited 2013 Nov. 30]. Available from: http://www.physiosinsport.org/media/wysiwyg/CSP_CPD_policy_statement_2007.pdf.